I taught the "The Commons Rising," as Sociology 42, as a 14-week course at Amherst College in the Spring 2010 semester. Below is the syllabus for the course. You can find pdocasts of each class presentation (recorded outside of class later) on this site, under "Podcasts." There are, of course, many ways to approach the commons. I know of a handful of courses on the commons taught in North American colleges and universities by (among others) Peter Linebaugh at the University of Toledo, Charles Zerner at Sarah Lawrence College, and Becky Lentz at McGill University. The commons has long been regarded as a side-theme of English history and a cautionary fable about the over-exploitation of shared resources (“the tragedy of the commons”). In recent years, however, the commons has been rediscovered as a versatile paradigm of self-governance and resource management. In circumstances as varied as open source software, Wikipedia, ocean fisheries, indigenous cultures, fresh water supplies and public spaces -- and in countries from Brazil and India to Germany and the United States -- self-organized communities are developing their own commons as practical alternatives to markets and government. 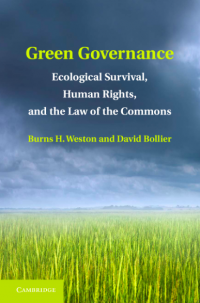 Some see the commons as a way to challenge the privatization and commodification of shared resources (“enclosures”); others see it as a practical tool for re-imagining governance and ecological stewardship in the face of market and government failures. Still others see the commons as a way to reintegrate the psychic and cultural wounds of modernity. 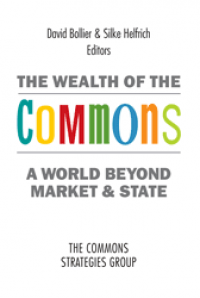 This course surveys the political and economic history of the commons, its strengths and limitations over the centuries, and its burgeoning contemporary manifestations. We will be guided by the writings of Elinor Ostrom, Peter Linebaugh, Yochai Benkler, Lawrence Lessig, Peter Barnes, Lewis Hyde and David Bollier as well as by a range of films, essays and Web resources. The course will have direct conversations with policy experts, academics and activists who are at the forefront of commons work, and confront the ambiguities and perplexities of this still-emerging realm of thought and action. 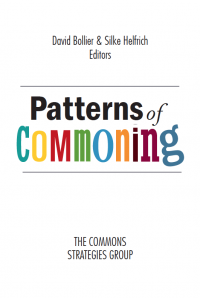 Introduction to the commons as a emerging field of inquiry, politics, activism and culture. David Bollier, “A New Politics of the Commons,” Renewal, 2007 (e-reserve). Tomales Bay Institute,State of the Commonsand The Commons Rising reports. Morris Cohen, Chapter 10, “Property and Sovereignty,” pp. 153-176. Ownership; Introduction and Chapters 1, pp. 1-23. Chapter 5, pp. xi - 92. Peter Linebaugh,The Magna Carta Manifesto, Introduction - Chapter 4, pp. 1-93. Karl Polanyi,The Great Transformation, Chapters 3-15, pp. 33-191. History of the Revolutionary Atlantic, pp. 149-167. E.P. Thompson, Customs in Common. Bollier, Silent Theft, Chapters 3 - 6, pp. 43-98. Elinor Ostrom, Governing the Commons, Chapters 1-3, pp. 1-102. Margaret Jane Radin, Contested Commodities, Chapters 1-3, pp. 1-45. José A. Rivera, Acequia Culture, pp. 25-40 and pp. 49-62. 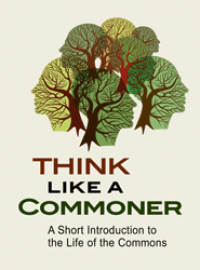 Peter Barnes, Capitalism 3.0: A Guide to Reclaiming the Commons, pp. 1-116. Peter Barnes, Who Owns the Sky? pp. 1-78. William Patry, Moral Panics and the Copyright Wars, Chapters 1 - 4, pp. 1-96. Lawrence Lessig, The Future of Ideas, Part I, “Dot-Commons,” pp. 19-99. 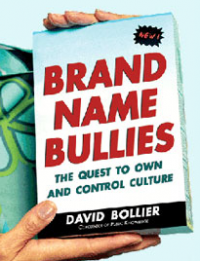 Bollier, Silent Theft, Chapter 7, “Can the Internet Commons Be Saved?” pp. 99-118. Chapters 2, “The Discovery of the Public Domain,” pp. 42-68. Hess & Ostrom, Understanding Knowledge as a Commons, Introduction, pp. 3-26. Innovation: Harnessing the Benefit of Openness,” April 2006. “Navigating the Great Value Shift,” and “Creators Take Charge,” pp. 93-167. Bollier,Viral Spiral, Chapter 10, “The New Open Business Models,” pp. 229-252. Michel Bauwens,“The Political Economy of Peer Production," Post-Autistic Economics Review, April 2006, article 3, pp. 33-44. Jennifer Washburn,University Inc., Introduction - Chapter 5, pp. 1-136; and Chapter 9, pp. 225-241. Bollier,Silent Theft, Chapter 9, “Enclosing the Academic Commons,” pp. 139-146. Bollier,Viral Spiral, Chapters 11 and 12 (on open education and open science), pp. 253-293. Robert McChesney,“The Battle for the U.S. Airwaves, 1928-1935,” Chapter 6, pp. 157-180, and Chapter 15, pp. 341-354, in The Political Economy of Media: Enduring Issues, Emerging Dilemmas. James Cuno, Who Owns Antiquity? Preface & Chapter 1, pp. 1-43. Bollier,Silent Theft, Chapter 10, pp. 147-162. Carlo Petrini,Slow Food: The Case for Taste, pp. 1-63. Michael F. Brown,Who Owns Native Culture? Introduction - Chapter 2, pp. 1-68. Vandana Shiva,Protect or Plunder? Understanding Intellectual Property Rights, pp. 1-133. 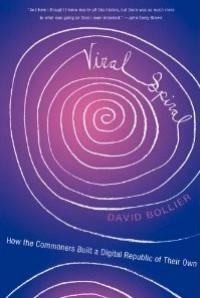 Bollier,Viral Spiral, Chapter 9, “The Many Faces of the Commons,” pp. 203-226. California Law Review, (2004), pp. 1341+.